We spent 2 nights in two different campgrounds in park. All sites are power only. We had wanted to stay in the Portage section both nights but when we arrived the staff informed us that power was off in that section due to a storm the night before. They allowed us to drive thru the lower falls campground and pick a spot. This campground was nice but a further walk to the falls. We visited lighthouse and museum at Whitefish point the next day and when we returned were able to spend the second night in the portage campground. We like this one best because it was an easy walk to the falls. Would stay here again if in the area. We camped at Tahquamenon Falls State Park in a Motorhome. We stopped without reservations but were able to get a site in the modern section of the campground. The campground was quite but not many sites were occupied while we were there. It was well maintained and a good place to stay while visiting the area. Our site was paved but only had electric. Beautiful area to visit and a lady at the park gift shop wrote out a list of suggested sites to visit in the area. She was a big help. Otherwise we didn't see any park staff during our visit even during check in because we used the kiosk at the park entrance to check in. 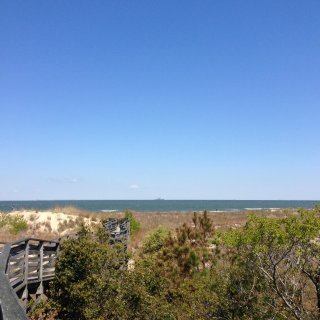 We camped at Fort Wilkins Historic State Park in a Motorhome. We had only planned to spend one night at this location while traveling through the upper peninsula of Michigan. The staff and campground was so nice we ended up using it as a "pivot" point and spent a total of 3 individual nights during our travels. We stayed on 2 different sites, both with full hookup including cable tv. The only problem we had with the campground sites was the sewer hookup on one of them. It was in the back of the site and higher than the sewer outlet on my unit. We ended up using the dump station instead. We enjoyed walking through the little town and eating at a pizza restaurant recommended by the staff at the campground. Overall a great stop if in the area. We camped at Klint Safford Memorial RV Park (The Iron River RV Park) in a Motorhome. This park is primarily a seasonal campground located on a small lake with a few sites for overnight campers. The seasonal sites were very well maintained and all the campers we met while there were very friendly. I ask for a shady site and the owners were accommodating and placed me on a site that I think was a seasonal site that was unoccupied. We were going to spend just one night but enjoyed the campground so much that we spent an extra night. Our site was an electric water site that was dirt and grass. We camped at Top O' The Morn Resort & Campground in a Motorhome. It's been a while since I've stayed at this RV Park and they have made one Hugh improvement and that is they have paved nearly all of the interior roads. Would have given a better rating but the nearby railroad noise( whistle, etc.) is pretty loud at times. Granted the park has no control over this but it does detract from the enjoyment of your stay. We camped at American Heritage RV Park in a Motorhome. Very well kept campground. We stayed in a water/electric site behind the small lake. We could still hear the traffic on I-70 but it was ok. The staff I met when we chef in and again when we left was very nice and we talked about RV travel for a good while. Will definitely stay at this campground again. We camped at Richmond KOA in a Motorhome. We stayed here while traveling to Wisconsin to visit our son and his family. This is a very nice park. The staff was friendly and the facilities were very well maintained. We had hardly parked on our site when the host came by and said if we needed anything to let him know. The site we had was large, level, and had recently had new gravel put on it. The adjacent town of Sturgeon Bay was a very nice place to visit. We would definitely return to this park if in the area again. We camped at Potawatomi State Park in a Motorhome. When we checked in we were surprised that the dump station wasn't in service, with no projected in-service date. That's pretty important when none of the sites have sewer. Also had to buy an out of state park sticker for $35. In addition they charge $2 extra per night for out of state. Wisconsin is the only state park system I've stayed in that charges more to out of state campers for a site fee. The bathhouse directly across from our site didn't have showers but I did find one in another section that did. The power service looked like it had recently been upgraded. Our site was rather muddy from recent rains. Verizon cell service was sketchy and we could only pick up a couple of channels on the TV. It's a beautiful area but the campground was a little disappointing. We camped at Penninsula State Park in a Motorhome. This is an extremely well maintained park and the owners are very nice, friendly and accommodating. The sites and roads are all gravel. They have several sites that are FHU but we only needed water and electric. This is one of the nicest campgrounds we have stayed. We will definitely be staying here again. We camped at Scheffel's Hideaway Campground in a Motorhome. This is a clean well-maintained park. We always stay here on our trips up north and returning. Never really had a bad experience. You get a little bit of highway noise but It was a constant sound and didn't really bother us. We camped at Hickory Hollow Campground in a Motorhome. We love staying at this campground because of the country feel yet you are still in the city. The sites are spacious with good separation from your neighbor. Water is good and power worked well, but no sewer. We reserved a site this time and that was nice. The staff was friendly and security seemed good especially during the weekend. The price I listed included the reservation fee. Our site was very quite except for local military air traffic but it didn't bother us. We will definitely be staying here again. 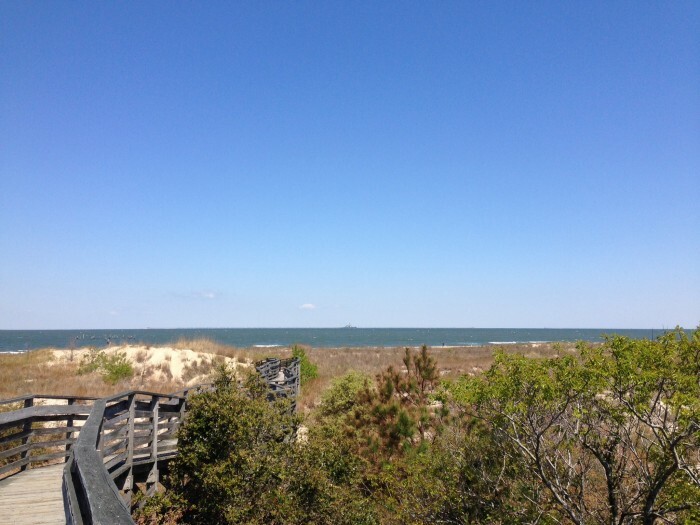 We camped at First Landing State Park in a Motorhome. We stay here going to and returning from the beach. We always try and get a site adjacent to the lake so we can watch the ducks. Power was good and so was water pressure. They have basic cable service which is good. Will definitely stay here again. 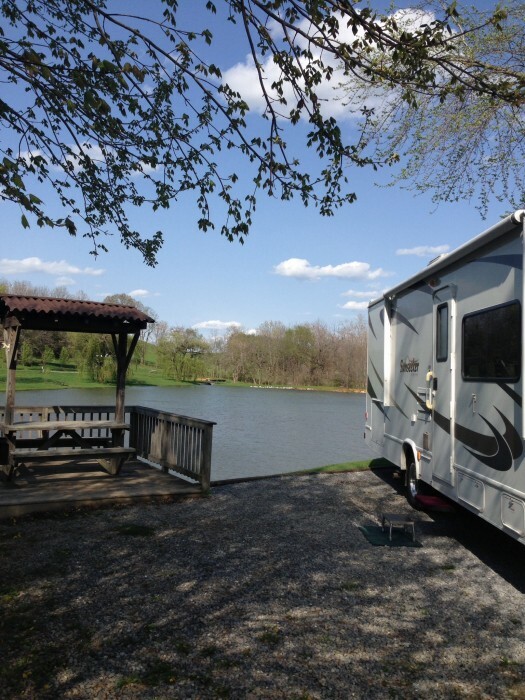 We camped at Walnut Hills Campground (formerly Staunton / Walnut Hills KOA) in a Motorhome. This is one of the nicest campgrounds we have ever stayed. The staff of volunteers are friendly and helpful. The sites are large and fairly level and they have recently redone several of them. It is quite and a great family destination. The roads are paved and the parking site is gravel. A favorite restaurant of ours is in the nearby town of Grand Rivers (Patty's 1880). They have a few full hook-ups but most are w/e. A great place to spend a day or more. We will definitely return. We camped at Canal COE in a Motorhome. Shopping and restaurants in the town of Grand Rivers. Even though I just began writing reviews we have camped at KOA's from Maine to California. After saying that, the Check in at this park was absolutely the worst I've ever experienced at any campground. Went in and said I would take a back-on, pull through, sewer/non sewer, but preferred to be as far from the road noise as possible. After approximately 30 minutes of clicking on the computer we finally ended up with a site. Ironically it was in row 2 behind the office. The sites and roads were gravel and fairly close together. The Wi-fi was weak but useable. The cable TV worked well. The road noise wasn't as bad as I expected but I failed to realize that a railroad was nearby. Trains ran all night and they loved to blow their whistle. I will avoid this KOA if returning to the area. We camped at Memphis KOA in a Motorhome. This is a great place to overnight. The staff was friendly and helpful. The roads are all paved and the site was concrete. We had a full service site (#3) which included cable. The Internet was as good or better than anyplace we have ever camped. We used the shuttle to go to the casino and when we were ready to go back to the campground we walked out and was immediately returned to our campsite. Dinner at the casino was a good value and tasty. We noticed some noise from the railroad but not enough to bother us. We would definitely return if in the area. 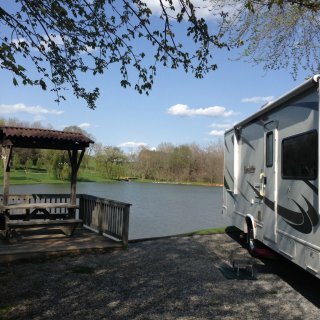 We camped at Ameristar Vicksburg RV Park in a Motorhome.